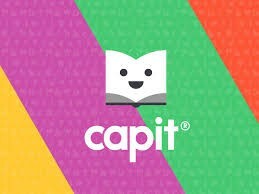 CAPIT Reading was designed by two teachers (an actual wife/husband team) with the original goal of teaching Hebrew to youngsters. 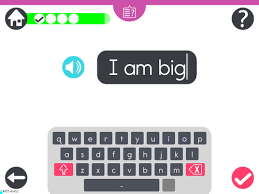 It has been updated to focus on the English alphabet, with a focus on the early language skills of phonetic sounds, blends, words, and sentences. This is actually a remarkable iPad program. Why do I say so? I recently had the opportunity to sit down with the two developers and examine the product myself. I found a remarkably well-designed application that should find a welcome home in any U.S. K-2 classroom. One of the features of the software is the fact that there are no verbal or written instructions anywhere in the program. How will kids know what to do, you might ask? They'll know. Or they will figure it out very quickly. Want to start the first lesson? Drag the letter "A" on top of the Apple. There is no "start" or "go" button. So from the first moment students are actively learning on the program. Bells and whistles? Nope. Cute pictures with sensible pneumonic associatiions? 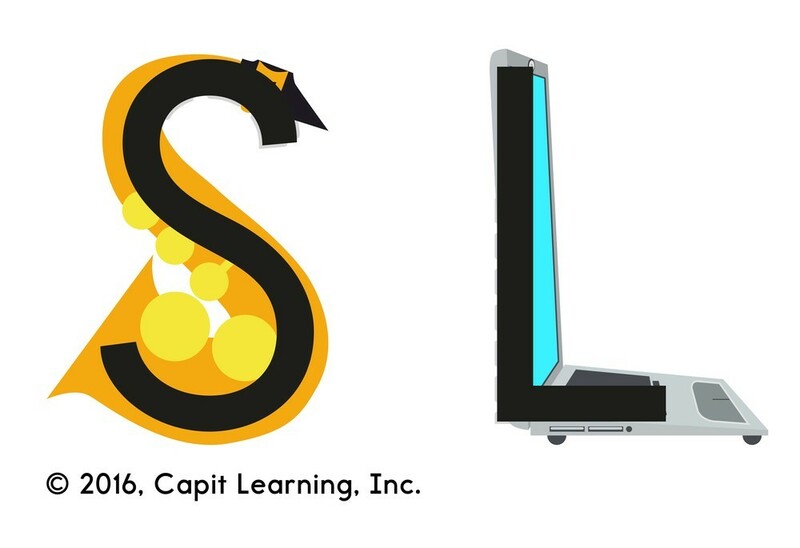 Yes As an example, most alphabet teaching materials I've seen associate a snake to the letter S. But this can be confusing to some students, as snakes can be straight, coiled, etc. So what's an object that has the "S" sound and is always in the "S" shape? Why the Saxaphone, of course! Little touches like this mean that EVERY single element of this program was evaluated, criticial analyzed, and modified until the best possible interactions were constructed. As students move throughout the program they are not rewarded with points, or badges, or triumphant music. Also, they are not timed or penalized for thinking a problem through. This isn't a video game aka Reader Rabbit or other similar products from an era when coders made these programs with little instructor input. This is a CORE instructional product designed AND REFINED by teachers. A simple Letter chart (think of those card carts that teachers use in their classrooms) indicates a student's progress. Here's another aspect of why this product shines - the progress chart actually shows students where the common language sounds are clustered. As they move through the levels, they begin to see the English phonemic patterns of commonly used words emerge 'organically' from their work. This is also an easy and fast way for teachers to check their work. There is a teacher/admin interface as well, that you can use to set up your class. Teachers simply enter their student names and associate each with a pre-built icon. 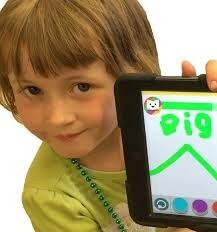 No login codes are necessary, but iPads can still be shared among students. 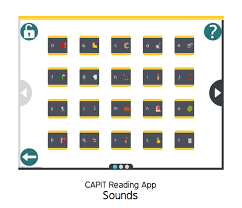 It is hard to imagine that students with access to this program, over the course of a year, and spending 15-20 minutes a day on it, would not see demonstrative results in their reading ability. I would love to see the developers hand this over to some researchers at UCLA's CREST, for example, to do a true comparison of classrooms that used this for a year vs. ones that did not. Considering the amount of thought that went into this product I initially assumed that it had been developed by cognitive psychologists or experts in learning theory or game design. Again, this is where CAPIT reading continues to surprise me. This one is a winner.